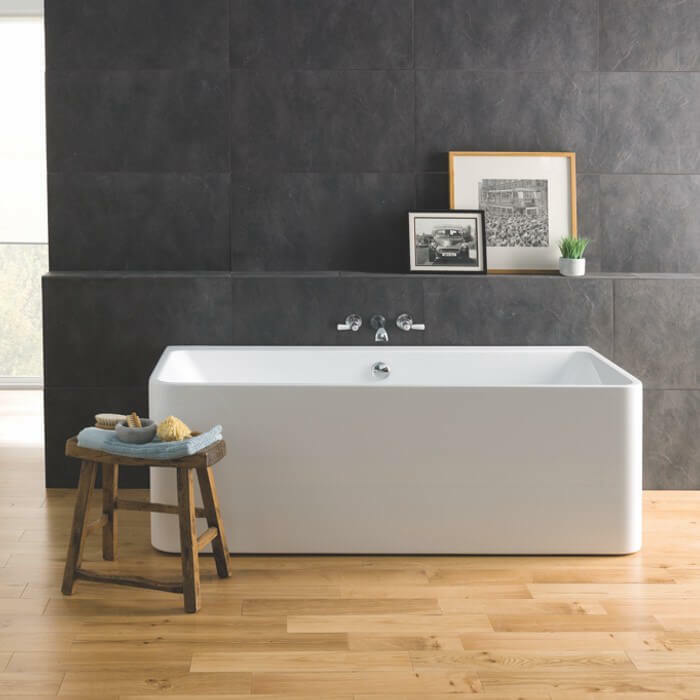 The new MURALI is a squarer free standing contemporary back-to wall bath in a seamless, glossy finish. 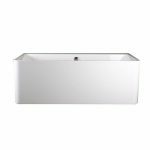 Taps can be added to the rim of this bath and there is a specially formed rear panel with a recess for ease of tap installation. 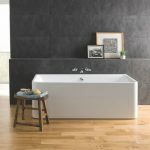 The MURALI bath is manufactured using our excellent Acrymite® system. The inner & outer of the baths are seamlessly joined to give clean and modern lines. Main image courtesy of Little Greene.